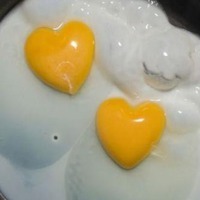 Last night I dreamt that I had made fried eggs for someone. I don't think I've seen fried eggs turn out as badly as they appeared in that dream and perhaps that's precisely what inspired the rest of the dream where we began a joint effort in making them again. The thought of possibly wasting eggs aside, it was a nice dream for me, one that I've enjoyed throughout the day. Why? Simply because some company is hard to come by, and I'm grateful for it even if occurs only in my dreams. They say it is better to be in the company of good people than it is to be alone, but it is better to be alone than in the company of bad or evil people. But how do we determine that which makes for good company? Is it not relative to those involved? In many ways, I think it is. I think everyone has their own gauge, but I wonder if people who share similar ideals gravitate to each other or not. Instinctively, we would say that they do, but how is it then that their loyalty and zeal for each other's company fades away? I am trying to reach a thought here (which I previously attempted and failed) about divorce as it is an ever-increasing occurrence that I would like to have some reasonable way of understanding. Divorce, as I see it, cannot inspire a tremendously beneficial discussion - in general - because each situation is unique and one cannot comment on a couple's decision to divorce unless one knows the details involved. Often times, it's not a black and white process. One doesn't have a checklist saying, "You messed up here, here, and here... Three strikes, it's done." With a union as deep as marriage, a decision as weighty as divorce cannot be simplistic. I should mention, before indulging other thoughts, that I appreciate that the stigma surrounding divorce is challenging. I've seen, even experienced, the pain of divorced loved ones, and I know that if people knew the weight of that heartache, the wise from amongst them would keep their judgments to themselves. Is divorce a trial? It can be. Is marriage a blessing? It can be. Neither marriage nor divorce are a trial or a blessing in and of themselves. They are separate phenomena which can manifest in our lives in either which way. My point? Simply that divorce cannot be disregarded as it carries its worth and has a very specific function much like marriage has its function and its worth. For me to try to better understand divorce, I think I need to consider the very beginning of marital unions, namely the process of "selecting a suitable spouse." I can think of at least five divorced couples who had good indications not to marry, and often I wonder why they did. But I realize again that I probably wouldn't understand their reasons since we all have different inclinations. SubhanAllah.. Again, I don't feel like I'm getting any clarity on the topic, but perhaps that's just because it is a complex issue that is perhaps partly the harvest of devaluing and neglecting prophetic practices...and Allah knows best. May the Almighty bless the believers with righteous spouses and unite them for His sake alone. May He make it easy for divorced believers and grant them His pleasure and blessings. May He protect and guide the children who are lost in the confusion of their parents' struggles, and may He help us all to rectify our ways and inspire us to strive to come closer to Him, ameen.